Whilst many providers resell DISC assessment report, there are actually only a few real publishers of DISC in the world. DISC Empower is one of the few providers that have developed their assessment and report “from the ground up”, using validated scientific research, and many-many years of working with thousands of people all over the world. The main difference with the different systems is the interface where you complete the assessment, and the layout and style of the report. 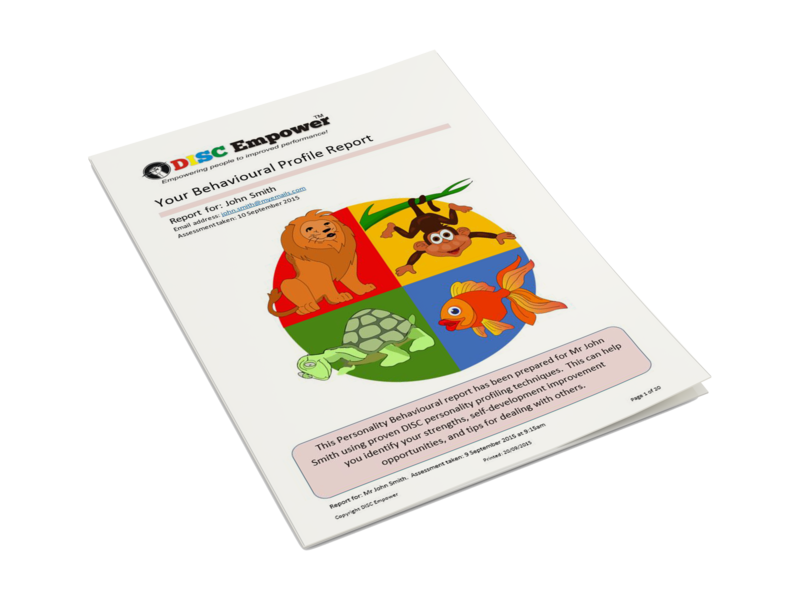 One of the biggest benefits of the DISC Empower report is that the advice has been co-developed by business and executive coaches, so there is tips and advice in there to help you get better at your role and in your career. 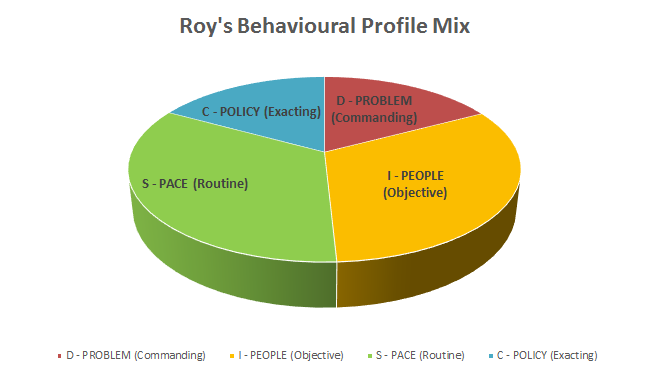 DISC Empower are also the exclusive users of the Behavioural Composition chart (sample image below). This is a world-first, recognising that a person’s behaviour cannot be simply identified by a single identifier for a comprehensive review. 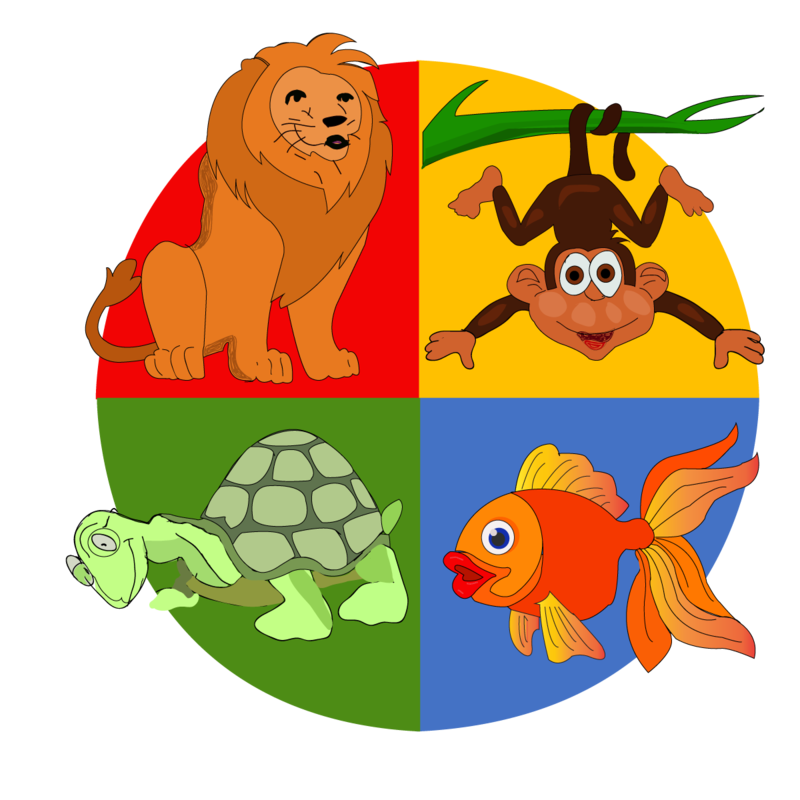 DISC Empower have also utilised four memorable animals to help users remember their primary style.